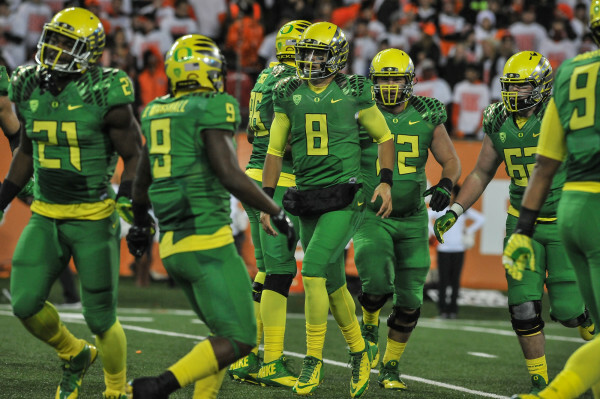 With only hours until the NFL Draft, let’s have an arbitrary ranking of the best landing spots for Marcus Mariota. A) Because the last time a quarterback commit from Oregon’s 2011 recruiting class it didn’t work out so well, and B) this is not a list Mariota needs to be on. 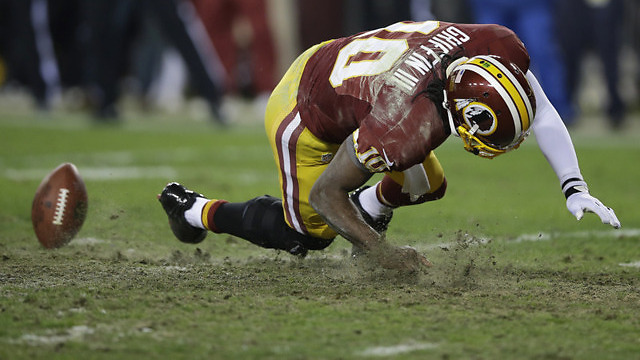 Not the best track record with quarterbacks, or any players, really. No. No. No. Speaking of track records, getting drafted by them has been the death knell for any quarterback’s career over the past three decades. Perfectly fine team and organization currently, but that draft history…yikes. 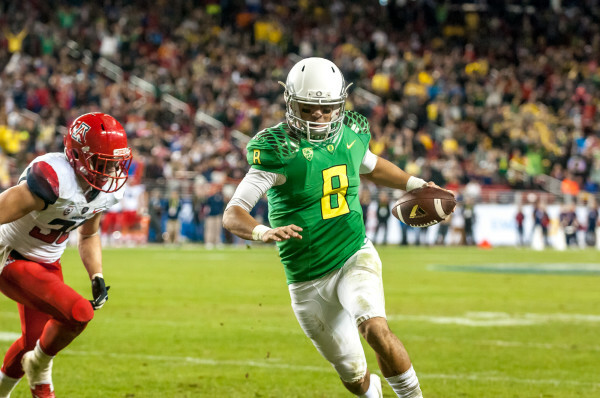 Mariota in the Rose Bowl. Both teams mired in mediocrity. While the Jaguars have the bigger talent deficit, but also appear to have a better plan for rebuilding. 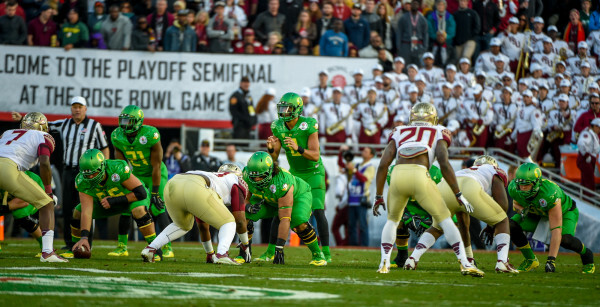 The 49ers may be Hawaii’s favorite team, but watching that present disaster of a franchise swallow their state’s first Heisman winner isn’t a sight anyone wants to see. 24. Tampa Bay BuccaneersSuper Bowl-winning quarterbacks Steve Young, Doug Williams and Trent Dilfer all were drafted by the Buccaneers. None of them won a Super Bowl with them. 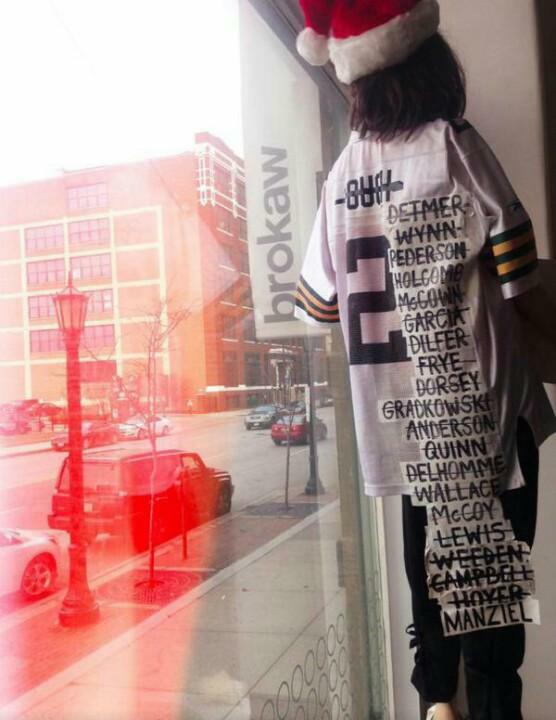 All teams with young, decent starting quarterbacks that would baffle everyone if they drafted another quarterback. Good team, but I can’t think of a worse match for Mariota’s desire to avoid the spotlight than Dallas. That stadium hasn’t exactly been kind to him, either. Decent-though-not-great teams that need a quarterback, in order of viability to succeed there. Bill O’Brien is the best of the quarterback coaches available in that group. Better versions of the 18-23 cluster above. Aaron Rodgers is 31, so it’s too early for planning a successor there. Seattle would undoubtedly be the most fascinating team in the league were they to draft Mariota, and also the least likely. The best team in the NFL the first two-thirds of 2014, plus he’d still have a year to learn behind Carson Palmer. Already has undefeated record at University of Phoenix Stadium. Two teams with a low draft priority at quarterback, but Super Bowl-winning starters getting longer (but not long yet) in the tooth at ages 33 and 34, respectively. A little early for a succession plan (and thus, unlikely), but would make very interesting stories if it happened. Similar to Pittsburgh and New York, but the transition plan for the Chargers appears much more immediate and real. 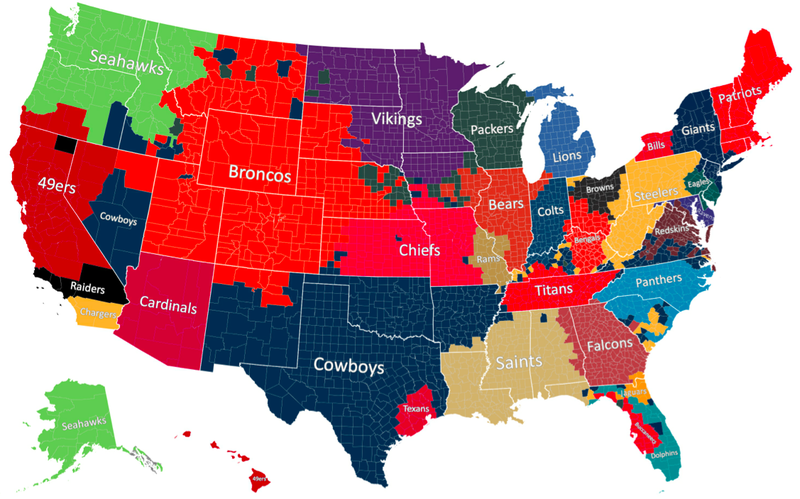 Hearing it is not likely to happen, though, for the NFL city closest to Hawaii. Just a reminder, Joe Flacco’s 2016 cap number is $29,000,000. Like Pittsburgh and the Giants above, but teams who can (and in some cases, previously did) consider succession plans. Ranked in order of organizational stability; Drew Brees is 36, Peyton Manning is 39, Tom Brady will be 38 by the start of the season. 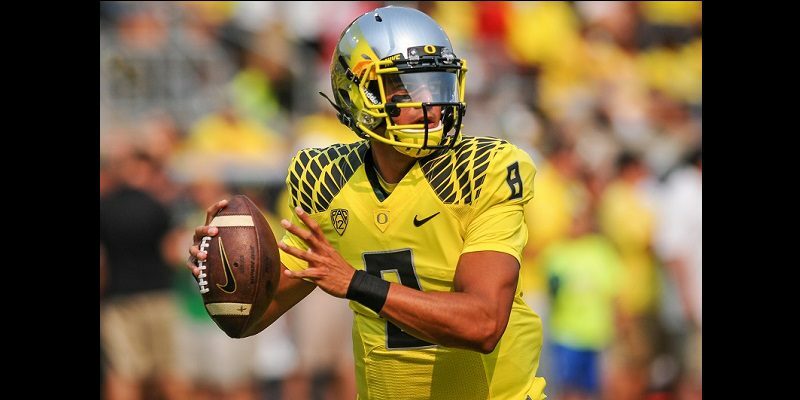 Having Mariota be a plan for the future would represent an amazing transition for these organizations. 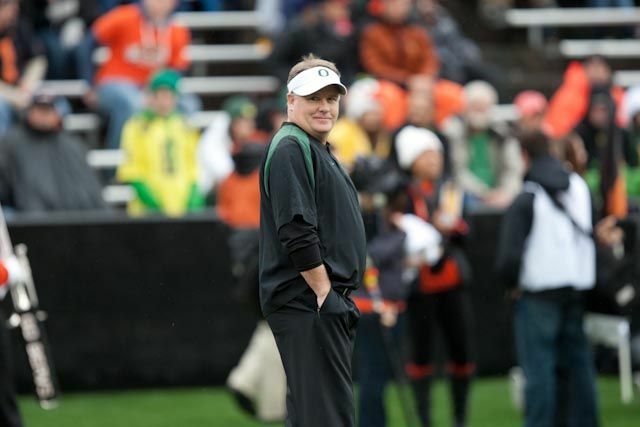 What will Chip Kelly do in the draft tonight? Were you expecting anyone else at #1 other than the coach who brought him to Eugene? Top photo by Kevin Cline.